Chinese Internet giant Baidu said it has received permission from authorities in California to test its autonomous driving technologies in the state. The tests on public roads in California, which the company said will start very soon, are part of its ambitious plan to expand in the area of autonomous vehicles both in the U.S. and its home country. On Thursday, Baidu also said it had tied with Nvidia for developing an autonomous car platform for companies in China and abroad. In China, Nvidia and Baidu will use artificial intelligence for developing a "cloud-to-car" autonomous car platform. 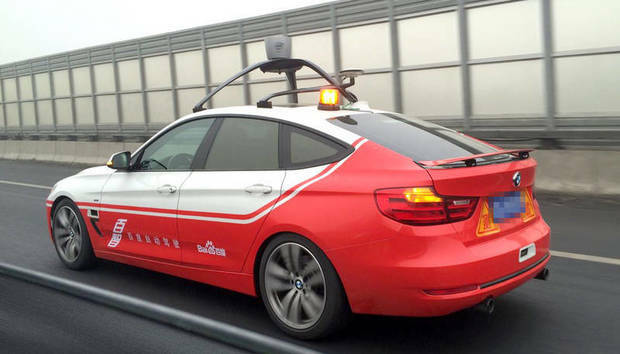 The partnership will take advantage of Baidu’s cloud platform and mapping technology, and combine it with Nvidia’s self-driving computing platform to develop maps, autonomous vehicle control and automated parking. Nvidia launched in January its Drive PX 2, an engine for in-vehicle artificial intelligence. The development platform will use Nvidia's GPUs for situational awareness around the car, to determine the location of the car and to compute a safe trajectory for the vehicle, Nvidia said at the time. Baidu, which has a strong brand in China, said in December it had tested a fully autonomous car - a modified BMW 3 Series - on a route in China that had mixed roads under a variety of environmental conditions, indicating that the company planned to be a serious competitor to Google and other developers of self-driving cars.